And How Does This Shiloh Grandmother Feel About The Religious/Gender Stories in The News? The Jerusalem Post's Barbara Sofer wrote an interesting article this week about the issue. He was hoping that as a religious woman who wears long skirts and covers her hair, I might be sympathetic to the idea of segregated seating on buses. Initially, I was shocked by his erroneous assumption, but the more I thought about it, the better I understood. Even though Sofer, like myself, covers her hair and dresses in skirts and sleeves, our tzniyut (modesty) stringencies most likely would be considered insufficient by chareidim especially in the summer. I live in Shiloh, a religious, dati leumi, aka Orthodox community. The school has its dress code based on Jewish Law. There are many interpretations of Jewish Law even among those who make every effort to live by the Torah. We aren't chareidi; we're like those who send their children to the school in Beit Shemesh that has seen its young students attacked/harassed. The situation there has gone too far, and I'm glad that those who oppose the violence are uniting to protest. Rafi, of Life in Israel, reported on it. He lives in RBS. Now for my opinion on separation of the sexes... I don't mind sitting behind the mechitza to doven, not having to worry about anything other than communicating with G-d. I'm not looking for honors, attention or any of the other things going on "downstairs." To tell you the truth, I see more serious praying up where I sit than down there where the men are. Traveling on a bus, train or plane is a different matter. I'll sit wherever. I must admit that I do look first for empty seats next to women, but if the only empty seat is by a male, I'll sit there. If he doesn't like it, he can get up. I have instructed men to sit together to free a seat for a woman or two. There's no reason for a woman to stand when men are occupying double the seats they need. For myself, I'll just sit. At my age, I need to, but some women are too shy. That's when I've interfered. I suggest that we all try being as makpid, exacting in a different mitzvah, Torah Commandment. Let's try Derech Eretz, the way to treat other people. It's better to act Mehadrin than eat Mehadrin. I have this feeling that if I don't do it now, I'll forget until it gets close the actual date of Rosh Chodesh Sh'vat, when we'll be back to Tel Shiloh for our monthly Women's Rosh Chodesh Prayers. The other day, Rosh Chodesh Tevet was very inspiring. Women came from four different different communities. For some it was their first time participating in our prayers and tour of Tel Shiloh. As anyone who has studied any Jewish Bible knows, Shiloh is a traditional place for prayer. The Mishkan, Tablernacle rested here for 369 years. During that time, Shiloh was the spiritual and administrative Capital of the Jewish People. Archeological finds confirm the Biblical narrative. For the past year or so Miryam Blum has been enriching our Rosh Chodesh Prayers by giving us inspiring tours while we walk together to the location which most experts believe was the spot where the Mishkan stood. That is where we pray. Please publicize information about next month's Rosh Chodesh Prayers. You're welcome to join our facebook page. Tel Shiloh is open to visitors daily. Tours can be arranged through the office. Email telshilo@gmail.com or phone 02-994-4019. Latma, as usual, shows us the Right way to look at things. This week's newscast is a clever one comparing clips from older shows with the news. There's a lot of truth in their satire about Israel, the Middle-East and other news topics. Latma is a project of Caroline Glick. If I'm not mistaken, this is from Denis Leary Christmas special, 2005. Here's the full show. Here in Israel, our ordinary innocent citizens feel the brunt of terrorism all the time. Subscribe to QassamCount, so you won't be in the dark. And whom is our government investigating? Good Jewish kids. Sorry, but I don't feel like posting something cheerful today. Those upstart Americans, a very new nation of just a few short centuries, keep on preaching "even-handedness" in the Jewish-Arab "conflict," sic. Many Jews, Israelis and historians don't really relate to the irony of it all. The Jewish People is most probably the thoroughly documented, longest-lasting People in the History of the World. To be intellectually honest about it, there's no equality between the sides. There had never been an independent nation in the Land of Israel besides the Jewish ones. And today's Arabs aren't connected culturally, religiously or historically to the non-Jewish people mentioned in the Bible. The Jewish Bible, the collected now written "Oral Law" and modern archeological finds document Jewish History, Religion and our unbroken connection to the Land of Israel. I live in Shiloh, the same Shiloh in which Eli, Samuel and Chana worked and prayed. A table or chair must have at least three legs for stability, and we have our Land, Religion and History which makes the Jewish People unique in the world. The Greeks were not the only despots to have attempted to ban Jews from living according to Jewish Laws. We have out-survived them all. Today the Jewish Religion burns more brightly than the Roman Catholics of Spain whose Inquisition against Jews caused many to hide their practice of Judaism. Today, centuries after that unjust, racist law caused the deaths and secret practices of so many Jews, their descendants are waking up to their Jewish pasts and some have returned to Judaism. Chanukah is our longest holiday, eight full days. That's more than a week. Each day we light another candle. One mitzvah leads to another. The light we're supposed to show the world must be of Jewish Values, not modern, secular ideologies. Can People, Cultures, Societies Really Change? As you know, I'm very doubtful about the chances of Israel having anything resembling true peace with the Arabs. The hate, violence, antidemocratic culture and values are too ingrained in the minds and hearts of the Arabs in the Middle-East. I'm a realist, a pragmatist and yes, also a victim of Arab terrorism. The recent attempt of the United States to turn Iraq into a western-style democracy would be humorous if it wasn't such a tragic, dangerous and violent situation. What can I say besides, "I told you so." It's all so obvious and predictable. It will take many generations and determination by the Iraqis (and other Arabs here) themselves to change their mind-sets, values and ways of doing things. There's an interesting article in The New York Times and its International Herald Tribune about how Bill Keller followed a number of families in Moscow from the end of the USSR until today, Putin's Children. These families were given a chance for a new life and new home, sharing the construction and building their own apartment house. The results, where they are today, don't surprise me. I know many former residents/citizens of the USSR who made aliyah to Israel. They came with nothing other than determination to succeed, and succeed they did. After barely twenty years, two decades here in Israel, most live on a much higher standard of living than I do. Their main aim was to improve their lives and their children's lives and they certainly did. They learned how to work the system better than I or even my children can ever know. Some also had aims besides the materialistic ones. Those who live here in Shiloh enjoy its spiritual benefits as Torah observant Jews. I could easily see parallels, similarities in the stories Keller tells in his article with the olim immigrants who came here. One thing for sure is that no other immigrant group succeeded to advance more quickly in every aspect of Israeli society than those from the FSU, whether academic, cultural, financial, political, religious and more. Dry Bones' Shuldig looking for good news. Blinders may be good for keeping horses focused, but they're very dangerous for humans who are supposed to be making policies to keep us safe. The world is being ruled by pseudo-intellectual Leftists who, even when have good intentions, are totally blinded to the truth about their pet causes. That's the nicest way I can describe what's going on in the world. Combine heavy rose-colored glasses to the blinders and you're going to have some very serious accidents. Here in Israel, we're endangered because the Government refuses to fight the enemy that hasn't stopped attacking us. No other country in the world would accept the frequent rocket attacks by Arab terrorists, as if they were just random mosquito bites. The PLO and its leaders are pet causes by almost all of the world including the Unites States, Europe, the United Nations and even many Israelis. I find this totally incomprehensible. The PLO is involved with and supports terrorists and terrorism. There's no way to white-wash it. Read Arlene Kushner's latest article about the PLO. It's easier to make a case for Santa Claus than for the PLO, Hamas, Fatah to be willing to make a true peace with Israel. Stop the make-believe. It's just too dangerous! Many aspects of Chanukah were touched on; my head was very full of ideas and concepts fighting for my attention. Towards the end she mentioned the light, the flame we admire in our chanukiyot, Chanukah Menoras. There were be no light without the burning of the wick, the oil, the candles. That light we admire isn't free. Suddenly, I couldn't be quiet. Here it is, Chanukah, the Holiday celebrating our religious and national freedom and the war, the battles for that freedom. "The price of our freedom today is serving in the IDF, even when some of our precious soldiers, our sons, family members, neighbors, friends and more are killed?" I asked. Nobody could disagree. It may be an unpleasant truth in some circles in Israel and the Jewish World, but pacifism and Leftist John Lennon "Imagine" philosophy are the recipe for end of the State of Israel and Jewish People. The continued existence of the Jewish People and State of Israel are dependent on our will to fight for it, including accepting the price for our loyalty and commitment. During Chanukah we add two prayers, על הניסים והלל Al HaNissim and Hallel, Because of the Miracles and Praise The Lord. Both prayers voice our thanks to G-d for all He has done for us. G-d responds and helps when we do our bit. Human beings were gifted with free will, so we must use our power of choice between good, evil and standing on the sidelines to protect ourselves. When we follow G-d's commandments and fight for our rights, religion and Land, then G-d, in the original "matching funds" responds with miracles. Sometimes I wonder if our willingness to fight is a miracle, too... Could it be that G-d "cheats" a bit to keep us surviving? If you haven't yet listened to Reuven Genn's talk about g'vura, heroism, now's the time to hear it. I guess this is as good a time as any to remind all of you that here in the Middle-East, there's only one country that treats its Christians well. Were you surprised to hear that only in Israel are Christians safe and free to live according to their religion? That is as long as they don't try to convert Jews--which is against Israeli Law. Last night, in the dark, I had presumed that the neighbors had started putting stone "siding" on their quickly built house. Then this morning in the light of day, I saw (and smelled it when I got closer) that there's wooden siding, at least on the north. There are both wooden slats and stone rectangles in front, so it's still possible that there will be stone coating at least part of the house. No doubt, within a week we'll know. Of course, no work is being done now, as it's close to Shabbat. So, I'm also closing down my blogging etc. for Shabbat. Enjoy this week's program. It's definitely one of their best. And if you can recognize the skit I liked best, please write your guess (including why) as a comment. Latma is a project of Caroline Glick. Just a couple of days ago I blogged about the house that is very quickly being built across from us. A large portion of the price of building is just paying the workers, so the quicker the building process is, the less the house will cost. Or it won't cost more to use Jewish workers if they use a very fast building method. This also saves on rental costs, because the family who is paying for the new house has been renting a different one. Also, by building with Jews, there is no need to pay for a security guard. Some local contractors use far-eastern workers, but they have to also provide housing etc. Yesterday, when I returned home from my Matan Bible studies in Jerusalem I could see lots of progress, even though only a couple of days, at the most, had gone by since I had last photographed the house. The side door and windows were cut after my last photos had been taken. The house will be warm in the winter, since it has good insulation and faces the eastern sun. My daughter's addition to her house was made in a similar way and they hardly have to heat it. This Israeli Government Speaks With "Forked Tongue"
We've heard this before and we've heard too many contradictory statements from Bibi's bloated Cabinet. Yes, just like Israeli politicians have been saying one thing and doing the exact opposite for decades. You can just consider it campaigning. Steinitz is Likud and Likud wants our votes. Apparently he has been appointed to mollify and sedate us, get our confidence and then Prime Minister Binyamin Netanyahu will give voterless Leftist Ehud Barak free hand to destroy Jewish homes and harass as many Jews as he wishes. This isn't the first time we've heard such promises from Likud politicians. In hindsight, with a dose of cynicism, it's easy to say that Begin had meant that more Jewish communities would have to struggle with the government for recognition and support. 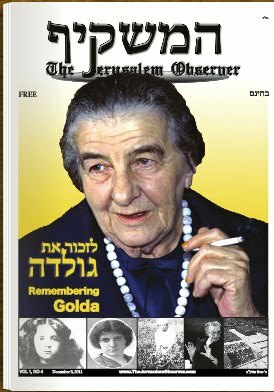 Likud ended up no more supportive of settling Judea, Samaria, Sinai etc. than Labor. And as we all know, Menachem Begin's Peace Agreement with Egypt's Sadat required that Israel give the Sinai to Egypt and destroy its Jewish towns and communities. And Ariel Sharon was in Likud when he announced Disengagement and the destruction of Jewish life in Gush Katif. So, sorry Minister Steinitz, your words do not reassure us. Thoughts About Tzvi Fishman's "Imagine all the Jewish People lived in Israel. A Chanukah Song"
Today the lyrics of Tzvi Fishman's "Imagine all the Jewish People lived in Israel" don't seem so far fetched. Could such a scenario really be when there wasn't even a single Jewish businessman trying to make a buck in New York or yen in Japan? Here we are over a hundred years after the first stirrings of Modern Zionism. No doubt that everyone called Herzl a "dreamer" and couldn't imagine that his solution to antisemitism had a chance to succeed. Think about it: Theodor Herzl and the great science-fiction writer, Jules Verne, were peers and died just months apart. Most Jews of their time probably took Verne more seriously than they took Herzl. The idea that Jews would find their national salvation in the barren infested Middle-East was preposterous. Almost every Jew who had the guts to try a new life headed to North America. You had to be certifiably crazy to go to that "other place." Few stayed; they either tried another, easier part of the world or died from disease or Arab terror. Yes, Arab terror isn't new. It didn't begin with Israel's victory in the 1967 Six Days War nor the 1948 War of Independence. Even when my husband and I made aliyah, as a couple of newlyweds, it was still a rare phenomena, and conditions here weren't easy. But today Israel is as modern as any other advanced country. When we came, we were dreamers, too. Who could have imagined that Israel would develop into the advanced country it is today with an economy stronger than most? Those wise with their money are investing their dollars here. Get real and follow Tzvi's advice. "Imagine..."
Those of you who read my husband's blog may have caught his post about the building (construction process, not structure) across the street. We've both been photographing it from our house, front door, merpeset (terrace) etc. Until very recently, people have denigrated the idea of building with Jewish workers only for the very practical reason/excuse that Jews don't work as quickly as Arabs. Traditional building here is of the "brick by brick" or pouring cement which ends up taking forever. This building by conventional methods and Arab workers was begun 2 years ago. I have no doubt that this old-fashioned method builds homes to last. In addition it's fire-proof and needs little upkeep/repairs. At least that's our experience. Both of our sons live in Jerusalem stone buildings that were built over a hundred years ago. One is in Nachlaot and the other in Nachalat Shiva. One of the big disadvantages to the old-fashioned brick by brick method is that there is no way to do it quickly. It's either slow or very, painfully slow. The larger the building, the longer it will take. You can't build the fourth floor before the second or third. In recent years all sorts of prefabricated and other assemble/kit types of building methods have been tried to speed things up. Some neighbors had the walls poured as cement in situ. Cement walls cause awful insulation problems. Modern building materials have been tried, too. A few years ago, after the government began confiscating "caravans," mobile homes aka trailers as they were being transported to the yishuvim communities in Judea and Samaria, an in situ method was developed to assemble the walls etc. from factory-made building "sheets." Entire caravan neighborhoods were built like that. Now the same basic method is being used to build houses. Here's the new house across from us. The foundation and security room are cement, and the rest seems to be like the caravans. Bli neder I'll continue photographing until the neighbors move in. Yesterday, before leaving home, I was watching BBC (if I'm not mistaken or one of the few news channels we receive via our "dish,") and they were showing a panel debating the effectiveness and morality of security "profiling" in airports. To make it "interesting" for the viewers, they had a Moslem woman in favor and a sibling of a terror victim against. The Israeli system was mentioned, though superficially and inaccurately. The key to the Israeli system is less the solely "racial" and "national" profiling than the pre-security interview. This extremely important aspect of Israel's air-security method wasn't mentioned while I was watching the program. The program's security expert made light of Israel's methods by saying that we only have a few dozen flights a day while the United States has tens of thousands. He purposely distorted the fact that air security in the United States is different airport to airport. That's why I endured a public "pat-down" in Phoenix but not in JFK. I had traveled in the same skirt from Israel's Ben Gurion Airport, NY's JFK and Phoenix, but only the Phoenix security considered me a potential danger. Passengers traveling from Israel's airport are interviewed when first waiting on line with all their luggage. A security inspector asks for passport and ticket and begins asking very innocuous questions. From the answers and the passenger's passport, nationality/race, manner of dress etc. the inspector must make a decision. Does this person warrant further inspection or not. Of course, a key to this method is having a security staff of multi-linguists who themselves have passed all types of security checks. That's where the Americans would have a problem. Outside of major metropolitan locations, it would be very difficult to find enough qualified people. Another subject I didn't hear was the total waste of time when using "random checks." It's like throwing letters up in the air and expecting them to land in in order that would give you properly spelled words and grammatical sentences. The anti-profiling people on the panel refused to reply to the statistics stated that a very large number of terrorists are young adult Moslems, and countries that do racial/cultural profiling suffer less airport terrorism. If you have to choose between profiling and random checks, it's a no-brainer. Random checks are a waste of time and money. And profiling alone is insufficient. The Israeli method is much more complex. I work in Yafiz, a large clothing store Sha'ar Binyamin, and a sizable percentage of our customers are Arabs. As in any store in the world, part of my job is preventing shoplifting. Shoplifters can come from any national or religious group. I approach everyone smiling asking how I can help. Most smile back and tell me what they're looking for. There are always those who seem afraid and quickly scamper away. My gut feeling is that some of them had been casing the joint to see if they're sufficiently ignored in order to steal from us. All of these security methods are important, crucial for everyone's safety. The more one works in the field, the better your antennae get to sense who needs more "attention." Yes, that's "profiling." You can't get away from it, no matter how "immoral" some people may think it. Cut out the ideology and get real. In the following video I saw on facebook; "Candid Camera" style, they have an Israeli woman (her accent is very Tel Aviv, not Arab at all) dressed as an Arab and refused service at a gas station kiyosk. (Please ignore the awful English spelling.) Watch how Israelis deal with it. Pastor Mark Biltz, leader of the messianic El Shaddai Ministries of Tacoma Washington, has the kind of christ-driven "pro-Israel" approach, which should cause responsible Jewish community leaders to abruptly about-face and pave a clear detour to ensure the spiritual integrity of the Jewish collective. Messianic Pastor Mark Biltz: "The New Testament is Torah"
Pastor Mark Biltz puts a Christian spin on the "Aaronic Blessing"
Jewish Israel wishes our readership a Happy Chanukah! Well, here's another example to be added to the list, right under "the history of the Palestinian sic people." "If you tell a lie big enough and keep repeating it, people will eventually come to believe it..." Joseph Goebbels. OK, Barry Obama, I'm willing to call your bluff! It's obvious that you have some new Jewish speech-writers on your staff, but a speech is just a speech. It's also obvious that you've been taking lessons in public speaking, since you sound much less wooden than you did previously. But, again, a speech is just a speech, and I know that you didn't write it; just like you didn't write any of your speeches. You're campaigning and you're fund-raising. You want Jewish support, so you've brought new people onto your staff to train/coach you in how to speak to Jews. Whoever the new speech-writers are, they're good. But it's just words, and I don't trust them, because the truth is that Obama's uncompromising support for the Arab Pseudostinians aka Palestinians sic is the most dangerous thing for Israeli security. Those Arabs aren't shy about telling the truth. Their single solitary aim is the destruction of the State of Israel and replacing it with an Arab terror state that will endanger world peace, and that includes the United States of America. Barry Obama, don't you dare lecture us about Judaism and Jewish History! I don't accept your lies! Next week will already be be Chanukah. And before the eight day holiday of Chanukah has ended, there will be Rosh Chodesh Tevet, the beginning of the Jewish Month of Tevet. I have my plans set, bli neder, G-d willing, I'll be celebrating at Tel Shiloh. For the past few years, I work my schedule around Women's Rosh Chodesh Prayers at Tel Shiloh. Tel Shiloh is open to visitors daily. Tours can be arranged through the office. Email office@telshilo.org.il or phone 02-994-4019. It's a lovely place to visit, tour and pray, too, of course. There's a snack place, and food and tours can be arranged for groups and events. Make a day of it. 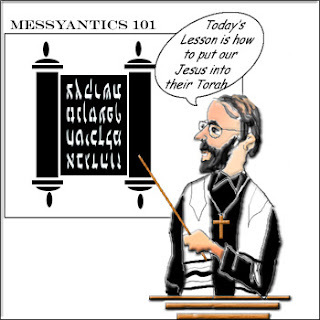 This Week's Latma: "Peace Now sings of the Grecian miracle of Hanukah and a parental lesson in how to get ahead"
Thank Caroline Glick for establishing Latma. Latma shows us the Right way of seeing the news. And apropos to Israeli Prime Minister Bibi Netanyahu's refusal to write for the New York Times because of its anti-Israel positions, here's Latma's "Tom Friedman song:"
If the only Israel, especially Judea and Samaria aka West Bank sic Israel you know of is via the media, you'd think that the various "outposts" threatened with destruction by the extreme Leftist Israeli "Judicial" system are tucked away in "densely populated" Arab areas. Well, the truth is the exact opposite. First of all, all of these little hamlets are on empty land, neither owned, occupied nor cultivated by anyone and that includes Arabs. Extensive maps of owned land were researched and made over thirty years ago during the "golden era" of ישוב הארץ Yishuv Ha'Aretz, Jewish return to live in the Land of Israel. 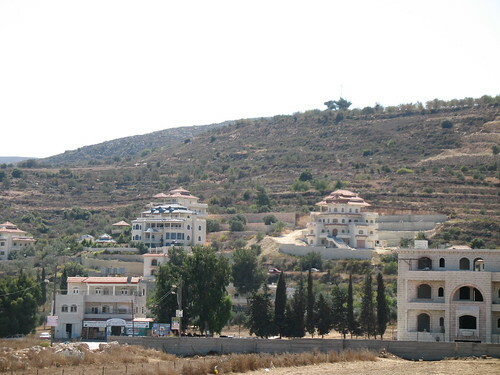 Yes, some of the small Jewish villages are on mountain tops, but others, like Givat Asaf, are on the main road. All of the pictures I take of Givat Asaf are taken when traveling by it on a bus. Givat Asaf is at a very crucial and dangerous junction. As you can see, it's not protected in any real way. Young families live and raise their children exposed to traffic, Arab terrorists and extreme Left agitators and anarchists. Givat Asaf was established after Arab terrorists murdered Asaf Hershkowitz of Ofra. Asaf, HaYa"D, was murdered at the T-junction to Beit El, a short time and distance from where his father had been murdered. In response, a community was established at the spot, overlooking the road. The existence of a Jewish village at that junction increases security for travelers and trempistim waiting for buses and rides. But for the young determined and idealistic families who live there, there is a vulnerability, not only from terrorist enemies, but also from the Leftists and courts who have targeted them from day one. Despite the dangers and opposition, the community has been growing, thank G-d.
Should Chanukah Be About Shopping for Presents? I wonder where the Chanukah gift custom came from. How old is it? Is it a long-time custom for Jews who had been living in Moslem countries, like in North Africa or India? If you can answer that question, please do in the comments, thanks. Working in Yafiz, Sha'ar Binyamin, I can attest to the fact that that local Arab Muslims buy presents to celebrate all sorts of Moslem holidays. The Rami Levi commercial empire certainly benefits from that custom. Moslem holidays "travel around" the calendar, because it's a totally lunar calendar without solar adjustments. The Jewish Calendar combines solar and lunar, so holidays will always fall in the right season. Chanukah and Christmas coincide, give or take a few days or a week or so. In an early pre-leap month Jewish year, Chanukah will end a week or so before Christmas, but in most years Christmas will fall in Chanukah. Please don't forget that Judaism predates Christianity and both predate Islam. I think that fact is a very important one to remember. Of those three major religions, Judaism is the most veteran, the oldest. The other two, Christianity and Islam, base much of their histories and territorial claims on Judaism in a double-punch attempt to replace Judaism, aka identity theft. All Jewish Holidays revolve around food and eating. There are lots of jokes giving that as the punch-line. Would Chanukah presents for the kids, spouse and more be the custom if the holiday didn't coincide with xmas shopping season? There's an awful irony if the answer to that question is "NO!" That's what the Chanukah holiday is all about. PS Just in case you're curious, I will give small gifts to the kids when we get together. But I hope and pray that it's the being together that will be the biggest gift of all, the great celebration, not the trinkets. Bloggers as Legitimate Journalists, Israeli Press Cards? For the past few years, there has been a campaign to pressure/convince the Israeli Government Press Office to recognize bloggers as journalists and give us official Press Cards. Of course, not all bloggers are the same and not all do anything that can be considered "journalism." The Advisory Committee on Evaluating the Criteria for Issuing Government Press Office (GPO) Cards this morning (Tuesday), 13.12.11, submitted its recommendations to Public Diplomacy and Diaspora Affairs Minister Yuli Edelstein, Public Diplomacy, Diaspora Affairs Ministry Director-General Ronen Plot and GPO Director Oren Helman. The Committee recommended unifying the various types of cards issued by the GPO under the single heading "GPO Card" which would serve all those engaged in media professions. At the second International Jewish Bloggers Convention in Jerusalem a few years ago (there never was a third or more) the subject was broached and cheered. I've always considered my blogs my own privately controlled magazines. Especially, here on Shiloh Musings, I write mainly op-ed pieces, but sometimes I do, frequently with the help of friends, offer news even illustrated articles, like the one about the early morning attack on Alei Eyin by the IDF. 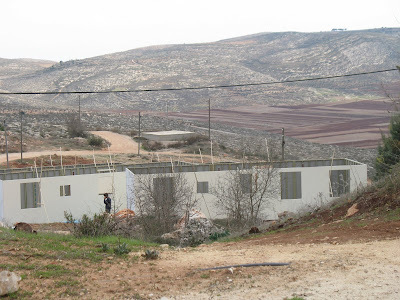 Another would be my expose` showing the enormous luxury homes the Arabs are building here in Judea/Samaria. These pictures are a few years old. Today there are many more and much larger Arab mansions; they dwarf the homes my neighbors and I live in. This blog, Shiloh Musings, isn't restricted to just my writings. A few friends are allowed to post whenever they have something important to say. There's no way I can write about life in Israel's south, under Arab terrorist bombardment the way Netivotgirl can. 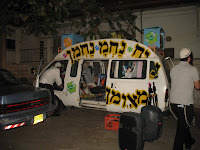 Sara Layah Shomron, one of those expelled by Israel from Gush Katif, reports from Nitzan about the dangers and trying to rebuild their lives, despite being targeted by Arab terrorists. Many bloggers, like myself, also write for other publications, but by having blogs we are our "own bosses" and control what gets published and when. Actually, I do have a degree in journalism. I'm not some yenta at the keyboard. My blog posts are read by many, though I can't prove numbers, since they're available on facebook and other social media. And they're also "copied" on other sites. 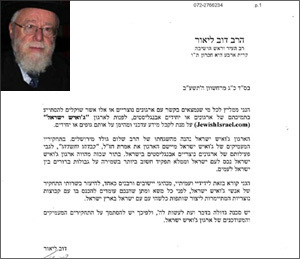 A number of years ago I did get an official Israeli Press Card by showing a letter from a foreign newspaper I write for. I consider myself to be a journalist, albeit an opinionated one. For me, life became easier, more wonderful when I finally recognized my lack of power. G-d is the great organizer, conductor. Just over fifteen years ago, when I was run over by an Arab terrorist, I actually felt safer and more secure than I had before. My injury, yes, thank G-d, was relatively minor, and it suddenly became so clear to me that G-d protected me. I could have been among the murdered or seriously injured. It wasn't up to me or even to the terrorist. I was among the first of his targets. G-d protects us. G-d decides when our time is up. G-d heals us, and G-d allows disease to ravage our bodies. How we react to all of this is us to us. G-d gives us potential but doesn't make our decisions for us. WE HAVE FREE WILL. G-d decides when and where we'll be born and to which parents. And since our parents are human, too, we must find ways to compensate for their mistakes and try to do better jobs with our own children. When we pray for rain, we pray that it will come in the right season and good, fitting quantities. Rain is from G-d. Without rain, without water we will all die. All of life is dependent on G-d.
And how did I decide to write about G-d's gift of perfect timing? Yesterday when I was waiting for the plumber to come to fix one of the toilets, the doorbell rang. I was sure it was him, but it was a neighbor who felt she must report that there was a leak coming from a pipe in the back of our house. Perfect timing! When the plumber did come a few minutes later, I was able to ask him to do both jobs for one "visit/payment." I really felt that as a special gift from G-d, Baruch Hashem! American Presidential Politics, Will the Republicans Unite to Win? "Do you think United States President Obama will be elected for a second term?" There are only a couple of weeks left before that poll closes. I don't think that things have changed much since I first asked that question. I'm a strong believer in "marketing." Almost anything can be sold if properly packaged. In all honesty, I think the election of Barack Hussein Obama is a good example of that. Of all the wannabes, Democrats and Republicans, who had been competing for the American Presidency four years ago, the track record, experience qualifications of Obama were most probably the weakest. That, davka, made it easiest to market him, because not having much experience also meant that he had made fewer mistakes and had a more paltry file of "past statements," etc. I've seen that time after time in our local Shiloh elections for town council where the least known and experienced candidate gets the most votes. The less you've tried to accomplish the fewer enemies you've made. The present Republican front-runners have been in American politics a long time; therefore they've made a lot of enemies. The "Bush machine" seems to be hibernating, especially after their poor performance in the previous presidential race. They have trouble giving their all to candidates whose names aren't Bush. Another problem is the process of choosing a candidate. This may seem rather shocking, but I think that the old way, when the party powers powwowed controlling state delegate votes in the big flashy summer party conventions had some advantages over today's drawn out state-by-state "beauty contest" primaries in which registered voters can chose whom they want as party candidate. No method is perfect; don't get me wrong. In the olden days, one generally needed to be an experienced politician to get the nomination. The party powers generally put together a package of president and vice president that complemented each other. John F. Kennedy was the weaker of his package in terms of political power, but the young Camelot Kennedy's were easier to market than the politically wily Lyndon B. Johnson. After JFK's assassination, it was the much more politically experienced Johnson who got his political platform passed. When party big wigs chose the candidates, there was more of a chance that they'd unite to promote them and campaign fully for them. Four years ago when Obama was vying for the nomination, the turning point in his favor was the decision of the Kennedy's to desert Hillary Clinton and support him. With the Kennedy machine behind Obama, Hillary didn't have a chance. If the Republicans really want to defeat Obama next year, they (the political power machines) must already decide between them who would be the best candidate and choreograph the primaries to market the package. I found this interview with Victor Davis Hanson informative and interesting to complement my post. As I've blogged many times, the idea that we can make peace with people who want us destroyed is totally ridiculous. There can only be peace when both sides want it. The Arabs don't want to have peace with us, with the State of Israel. They are consistently honest about it. They want us gone, dead and gone. Trying to force us to endanger our very existence is to assist us in committing national suicide, G-d forbid. It's hard enough to find an Israeli politician who isn't afraid to say that simple truth, so when I hear a foreign politician I really want to dance for joy. I feel like dancing around to "The Rain in Spain..." He's got it! "Henry, By George, she's got it! By George, she's got it!" And another video message to dance to is The Truth About the Refugees by Israel's Deputy Minister of Foreign Affairs Danny Ayalon. I do have one complaint about this film. It's that they use a map of Israel that does not include Judea and Samaria. We don't need that "dotted line" border and different coloration later on in the film. If you read the credits, you'll see that some of the crew, the Blass boys, who put it together also work for Latma. 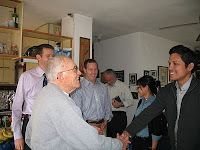 This Year's Visit of "The Spies"
my father and the "spies"
For over twenty years already, our humble abode has been on the "must see" list for United States Consular officials aka "the spies." A couple of years ago, when my very elderly father was living with us, he couldn't understand why they davka came to our house to ask us questions. Maybe it was because his first job as an accountant was auditing businesses for New York State, his philosophy has always been to do one's best to keep officials from "getting too friendly." Considering that we're veteran ex-pats, it did seem suspicious to him that consular officials are in touch with my husband. They've been coming to Shiloh to visit us for over twenty years. Sometimes I try to hide out and not play my role as the straight shooter talker. Twenty years ago I almost threw the official out and probably would have if my husband hadn't been there to stop me. But the trigger to the unpleasantness actually came as a result of his question. "Why don't you invite Jewish Israelis to your events, like the Independence Day Reception?" "We're even-handed. We don't invite the terrorist Hamas either." "Are you comparing us to the Arab terrorists who just murdered my friend Rachella Druk, who's now buried just down here?" And I pointed in the direction of the Shiloh Cemetery. The guy had nothing to say in response. postscript: For quite a few years after that, we were invited to the Jerusalem Consulate Independence Day Reception. I even attended a few, but never when the date was during the "Three Weeks" when attending festive events is forbidden. Yesterday was one of those visits. The usual routine is that my husband shows them around and then they come to the house for coffee/tea. I sit with them for a bit, then go to wash dishes or otherwise disappear, since "silently acting dumb and agreeable" just isn't my specialty. Honestly, I just don't know how I got started, but I guess the Dershowitz talk at the Begin Center must have still been influencing me, because I began telling them that it was immoral and against all criteria of human/civil rights for the United States Government to promote a policy that would forbid Jews to live here, or anywhere. I reminded them that in the United States it is illegal for someone to be banned from living in a building for religion or race. Racial and religious discrimination is immoral and they shouldn't be trying to enforce it here. After that I decided that they must hear the source of their mistaken policy. They (not personal, just the American policy-makers) don't know history. It seems that the American State Department and even President Barack Hussein Obama don't know history. They have the mistaken belief that there had been a country called Palestine before the establishment of the State of Israel. The truth is, as I explained it, that there had never been such a country, society, culture or people. They should just check old history books. Palestine was the name given to the land the British Mandate was supposed to turn into a Jewish State. The only people that had ever had an independent country/kingdom here was the Jewish People, and we are the same People. So, of course, they tried to correct me by saying that there were other ancient nations. We reminded them that the other nations are all dead and gone, but we're the same Jewish People. Jews have always, continuously lived here, even if not in great numbers and not ruling. The Jewish People never deserted the Land of Israel. Did my "arguments" make any dent, influence them in any way? I don't know. Will they include what I said in their reports? I don't know that either. One thing I do know is that it's very important to keep telling the truth and not be wimpily diplomatic or afraid. And now a Dvar Torah on this week's Torah Portion is Vayishlach (Genesis 32:4-36:43.) It tells of Jacob's return to the HolyLand and his reunion with his family, especially his feared twin brother, Essau. Why was Jacob so afraid of Essau, even after G-d had promised him protection? Why did Jacob bow to Essau and speak to him as if Essau was his master? It was a very critical mistake on the part of Jacob. It showed his family weakness and may very well be the reason his sons Shimon and Levi didn't trust him to properly punish Shechem and family after Shechem raped Dina. Latest Latma, "Singing refugees from Tel Aviv and Bibi's daily grind"
Nobody can deny that the American economy is awful. One of the reasons is that banks and mortgage companies have been making it too easy to get loans. There's some sort of "flexible," think of rising yeast dough, mortgage payments, aka adjustable rate mortgages. People have been ending up paying more than they can afford and end up losing their homes to the bank/lender. During Israel's hyperinflation, people found themselves owing and paying more on their mortgage than their homes were worth in the sinking economy. Dry Bones is right again. You can't accurately budget when payments and expenses keep rising, and income is stable or falling. I'm glad I waited until now to write about Israel's wimpy response to the complaints about the aliyah campaign. Dry Bones, as usual, hit the nail right on the head and is the perfect illustration to my post. It's almost Chanukah 5772, 2011, and the modern Helenists are raging. Chanukah is the Jewish holiday celebrating religious freedom and the defeat of the Greeks who tried to stop us from observing our religion. Helenism was the ideology of those who attempted to replace Jewish values, customs and religion with those of the ruling Greeks. The secular Left head today's Helenists who try to impose their values life-style on us all. The IDF's punishing of religious soldiers who don't want to listen to women's singing is an example. Those Liberals aren't very liberal when it comes to Judaism! 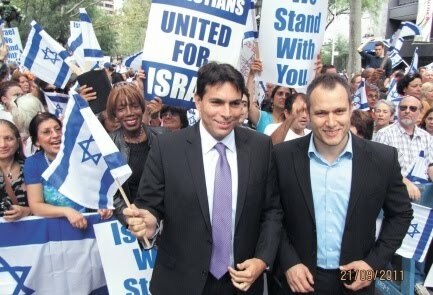 And another example is the quick capitulation of the Israeli anti-assimilation aliya campaign. Bibi and gang gave victory to the Helenists on the Eve of Chanukah. He's no Judah Maccabee for sure. Justice Richard Goldstone will never live down the outrageously unbalanced, unprofessional inaccurate UN Fact Finding Mission about the "Gaza-Israel War" he headed. For many people, his name is now the symbol of the United Nations Judicial Hypocricy and anti-Israel policies. The NGO Monitor recently came out with The Goldstone Report “Reconsidered” – A Critical Analysis, Edited by Gerald M. Steinberg and Anne Herzberg. A large book launch was held at the Menachem Begin Heritage Center this week. The standing-room-only event also included the delayed presentation of the Begin Prize to Law Professor Alan Dershowitz, who couldn't make last winter's event. Since Dershowitz is also associated with NGO Monitor, it was a perfect shidduch to combine the two. 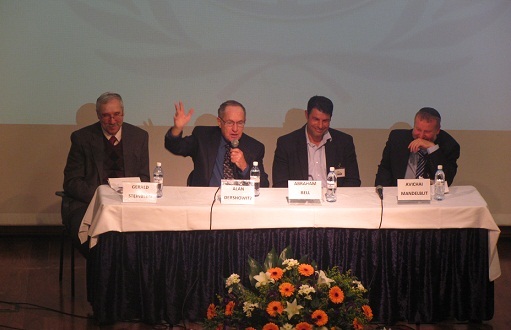 Speakers were: Anne Herzberg, legal advisor of NGO Monitor, Prof. Gerald Steinberg, president of NGO Monitor, Maj. Gen. Avichai Mandelblitt, Prof. Avi Bell and the very entertaining Prof. Alan Dershowitz. Here are some excerpts I was lucky enough to film, especially considering that I had no idea what they'd be saying and when to press "on" and "off." Change? Our Our Characters, Path, Ikar Core, Can They Change? Chaviva, maybe the "ikkar," the core of us doesn't change, but change is an integral part of Judaism. That's what teshuva is. Our "ikkar," core is good and pure, and we must peel away the drek, sorry but I just can't think of a better term for it. Superficially, we can change. Some of us never get to the core, unfortunately. We all have our ups and downs. Life isn't perfect, and it's certainly not easy. Sometimes it seems like G-d has given us challenges we can't deal with. Rickismom, you're an inspiration for many. Chaviva's blog is a wonderful revealing narrative of a young woman's journey. Chaviva's road is being revealed and is never dull. Rickismom and I are a full generation older, but because Judaism never freezes a person in one frame, we're all traveling and changing, even if it looks superficially like we've "arrived" at our goals. Unlike in sports, the goal posts are supposed to keep moving. 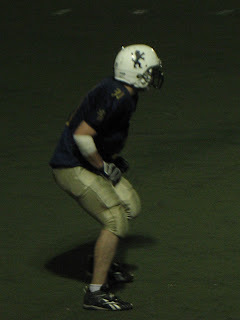 I've been learning about football, American, because my son plays. I was surprised to discover that after a touchdown, there's another play/chance to add a couple of points. Judaism allows permits unlimited "extra points." The "play" is never over. We can always add points by continuing teshuva, repentance. That's the ikar the core/main goal of Judaism. We're never finished with our journey until our very last breath.